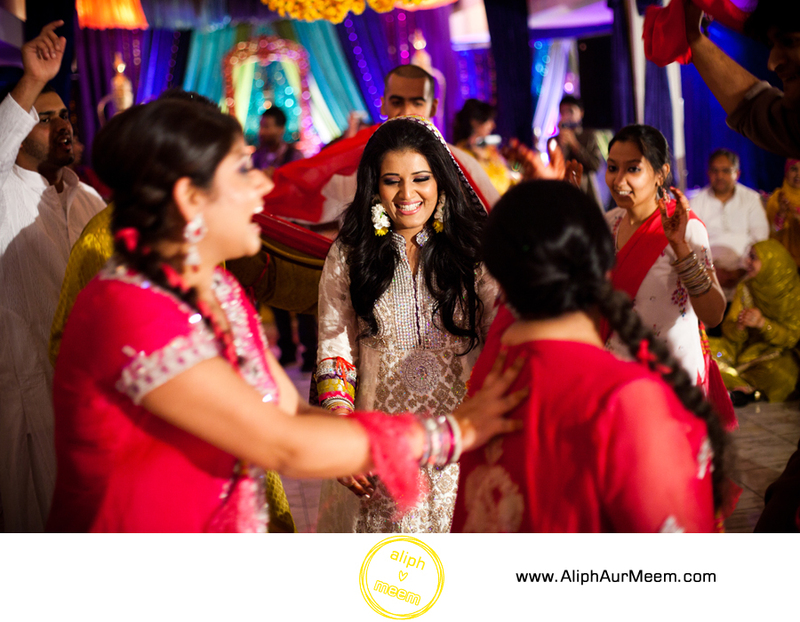 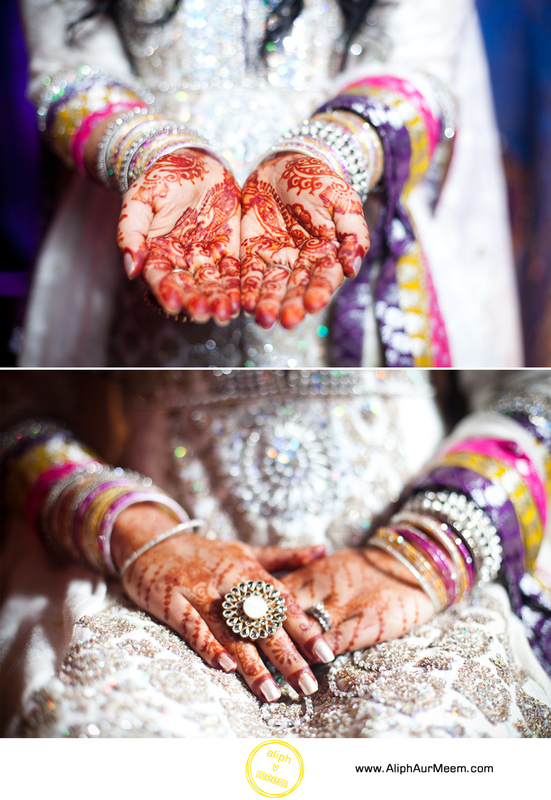 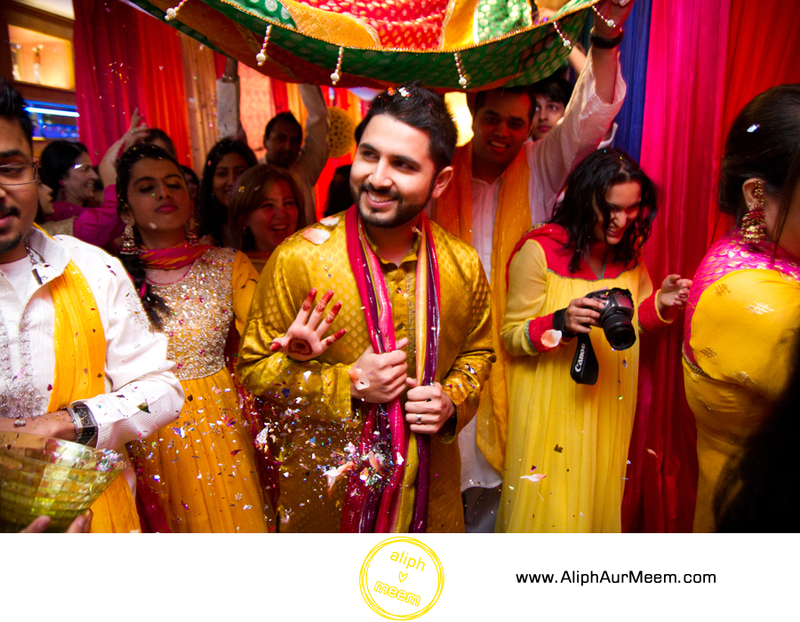 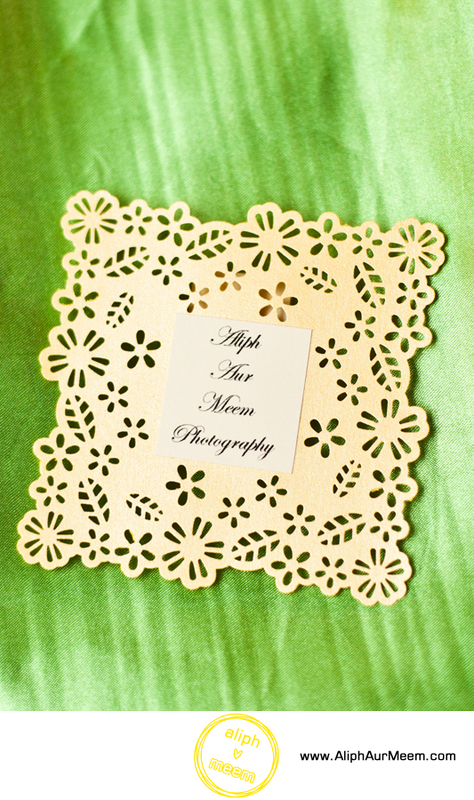 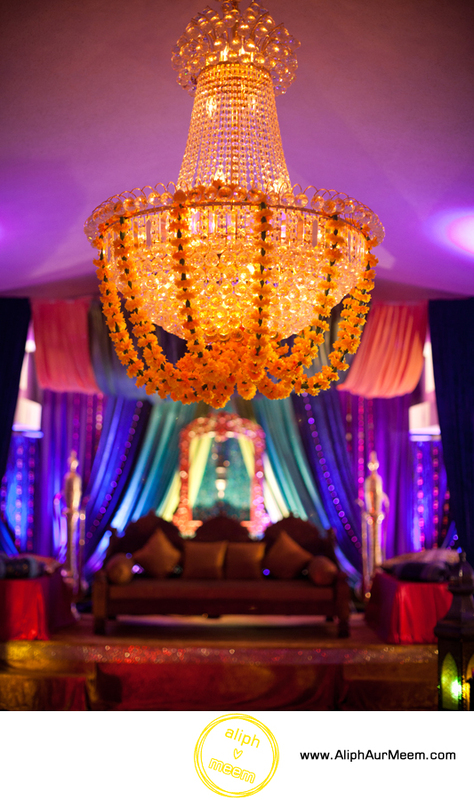 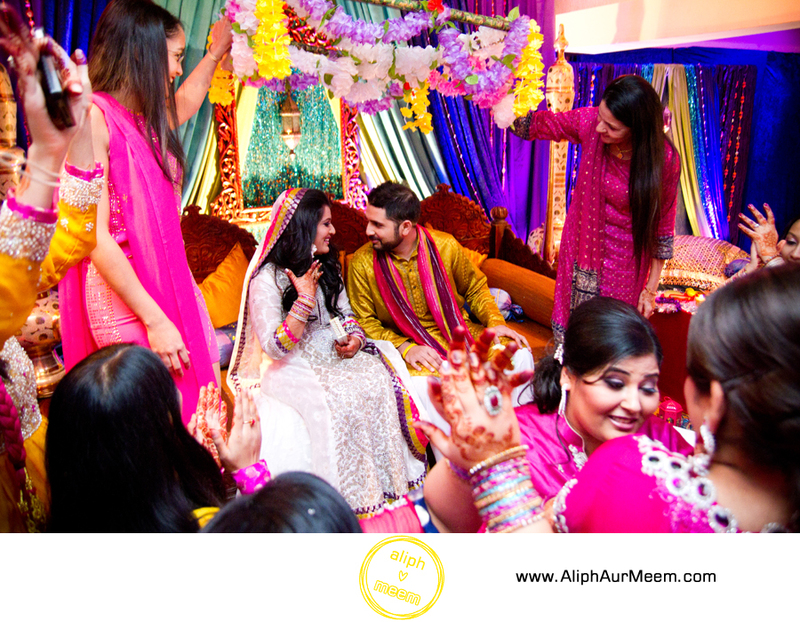 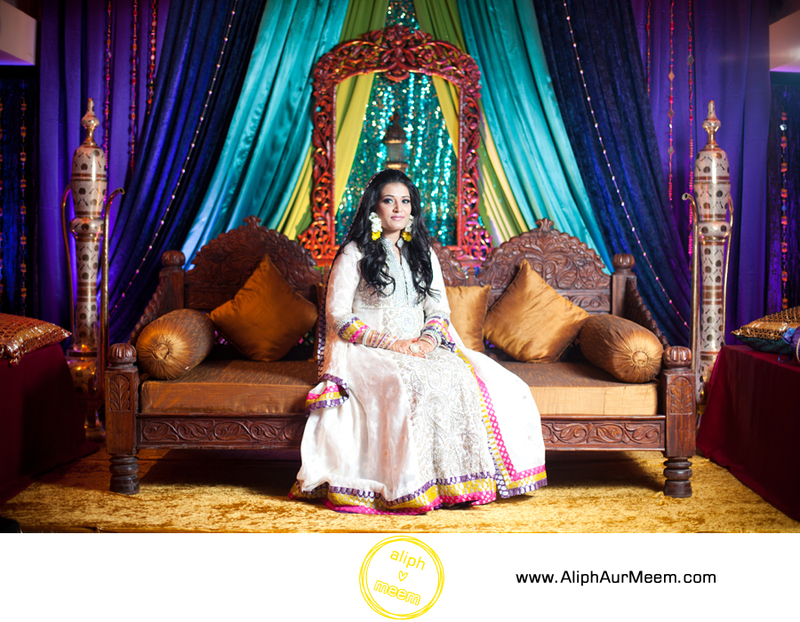 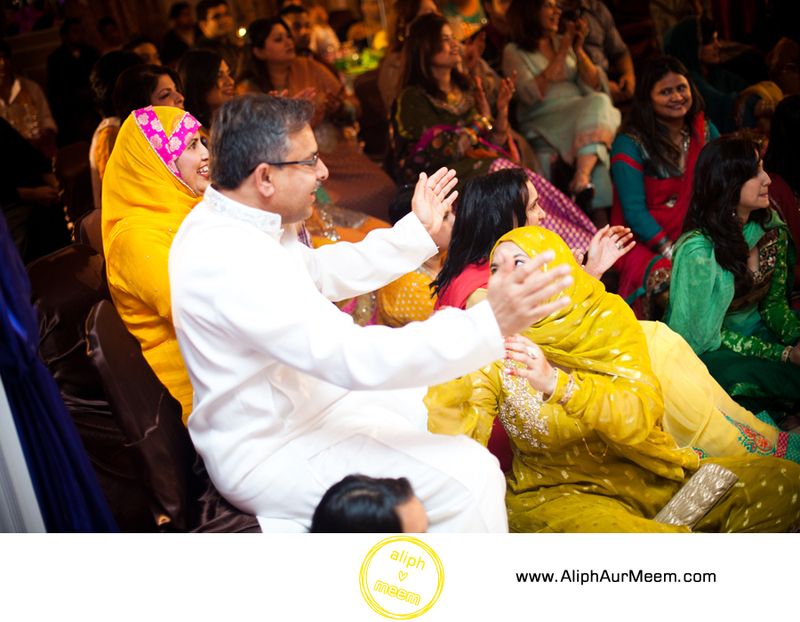 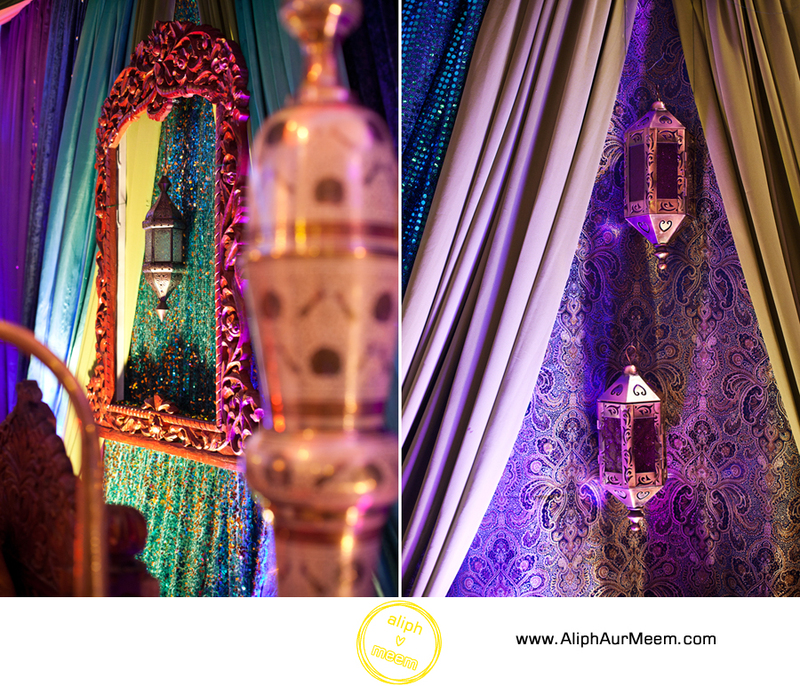 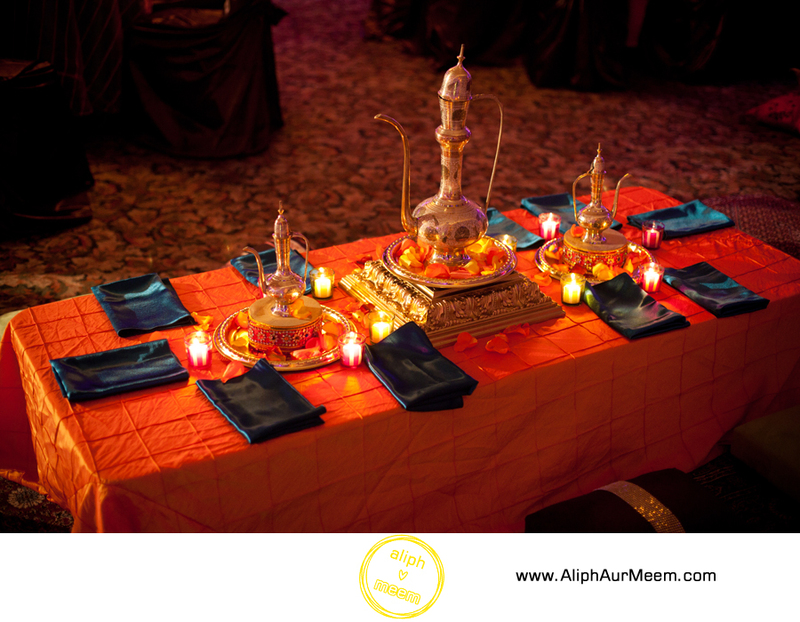 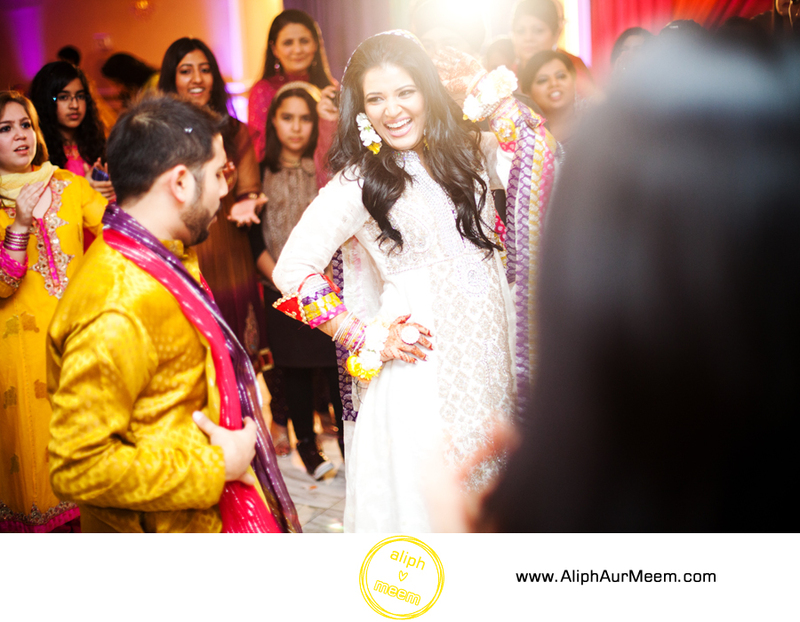 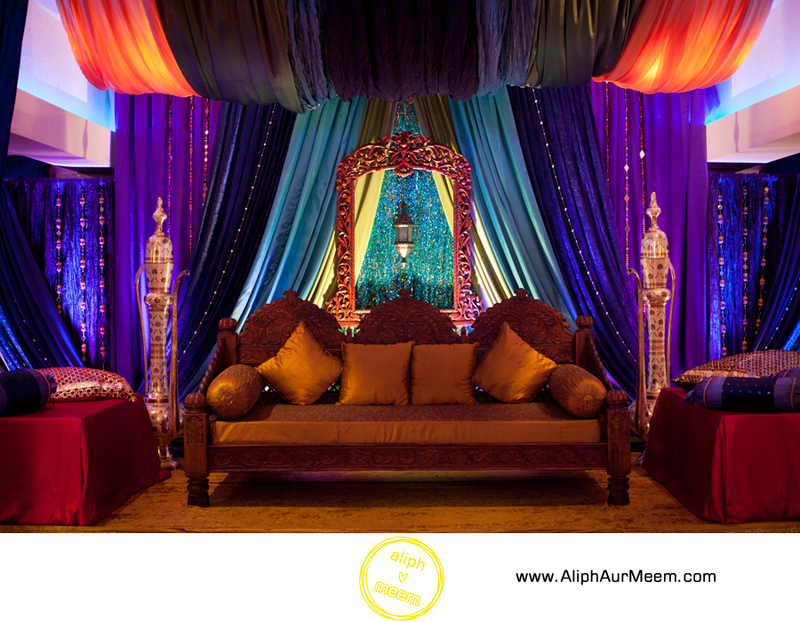 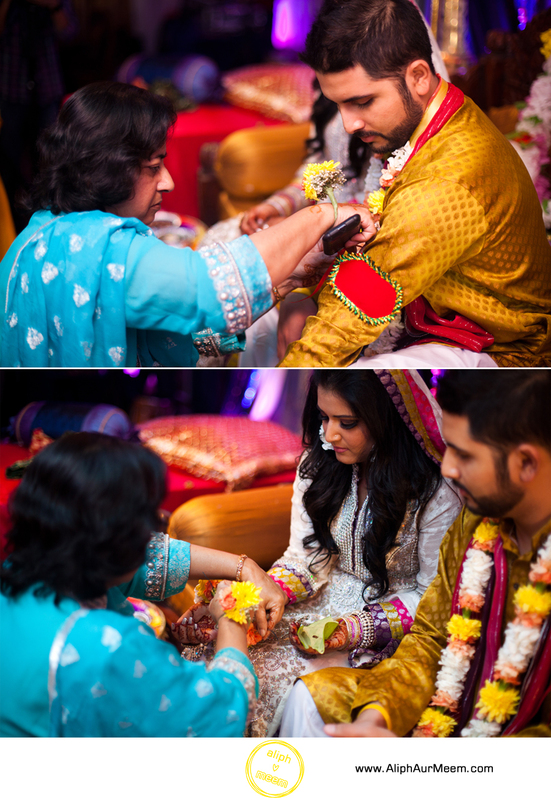 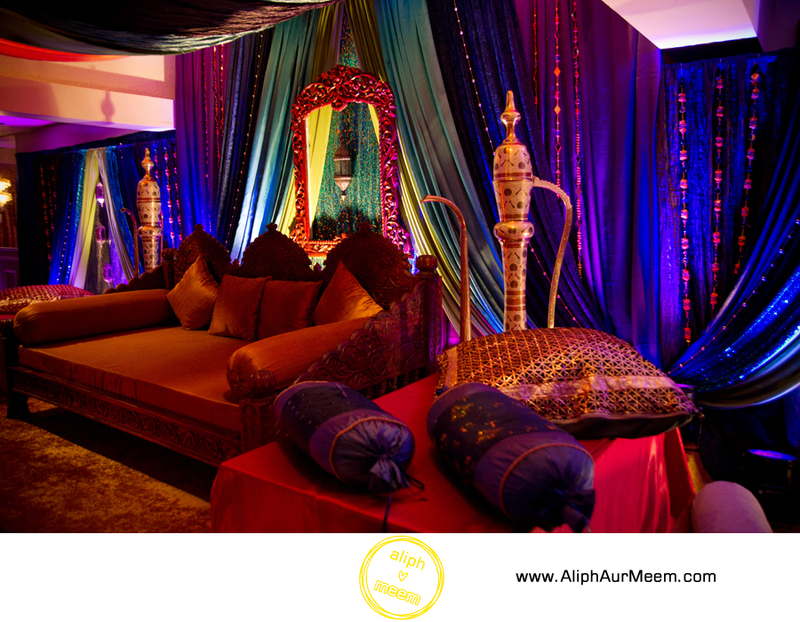 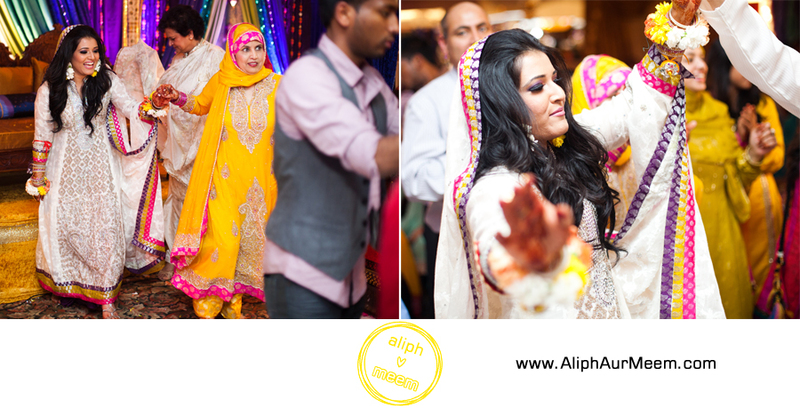 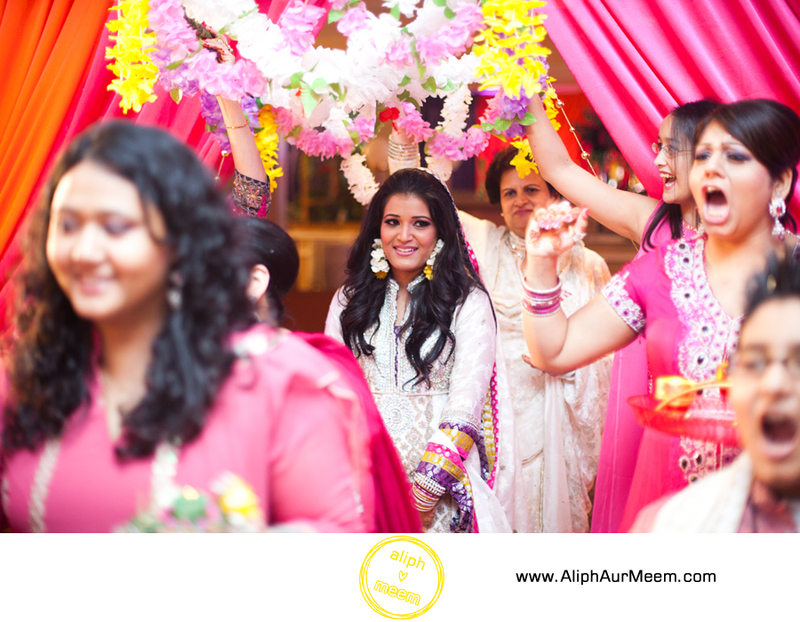 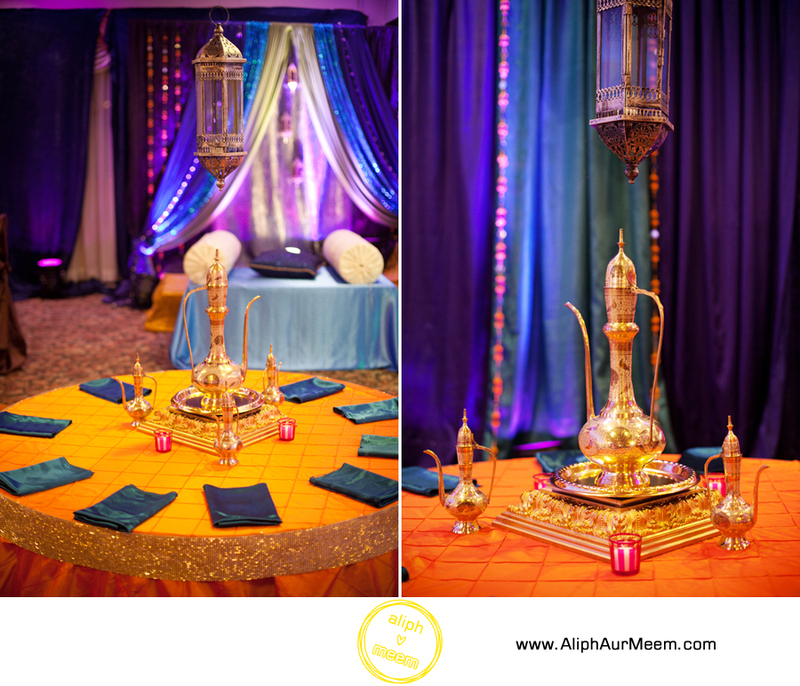 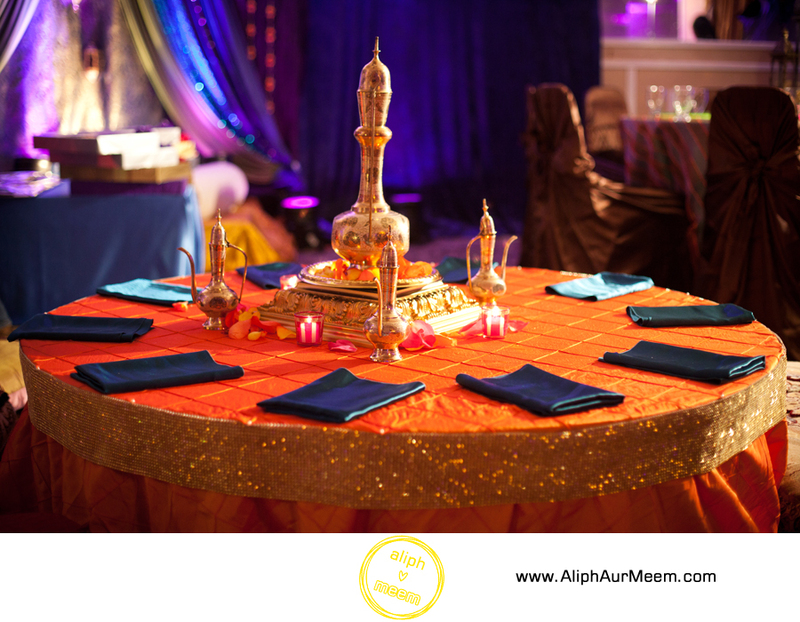 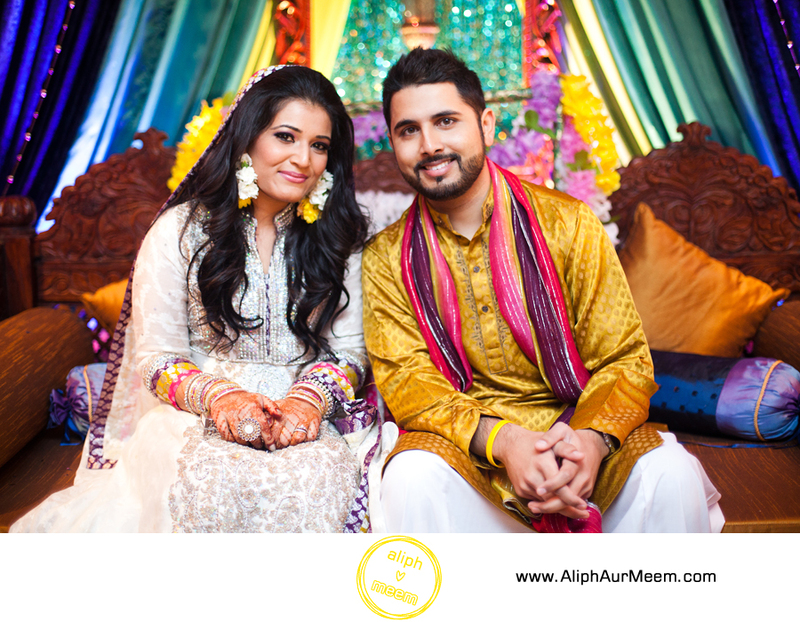 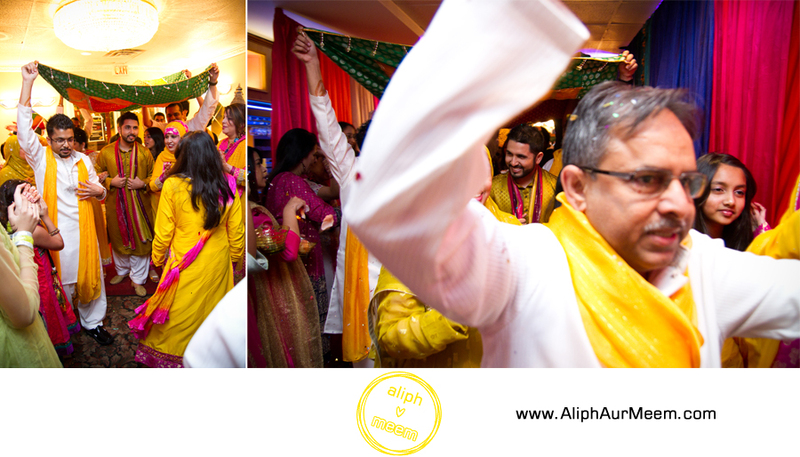 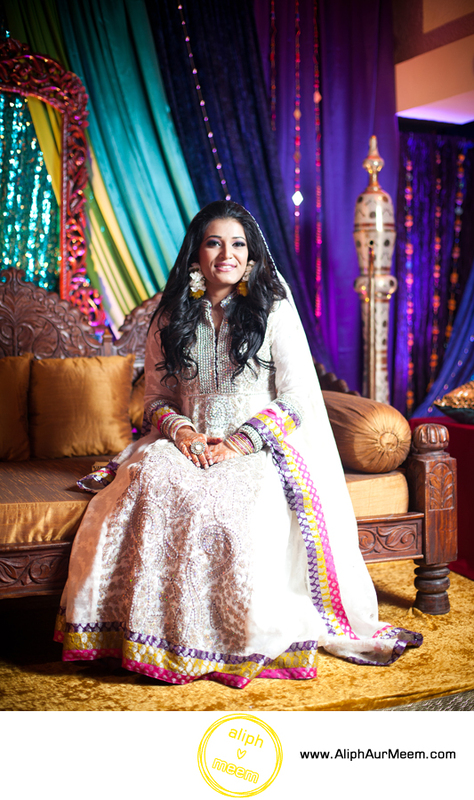 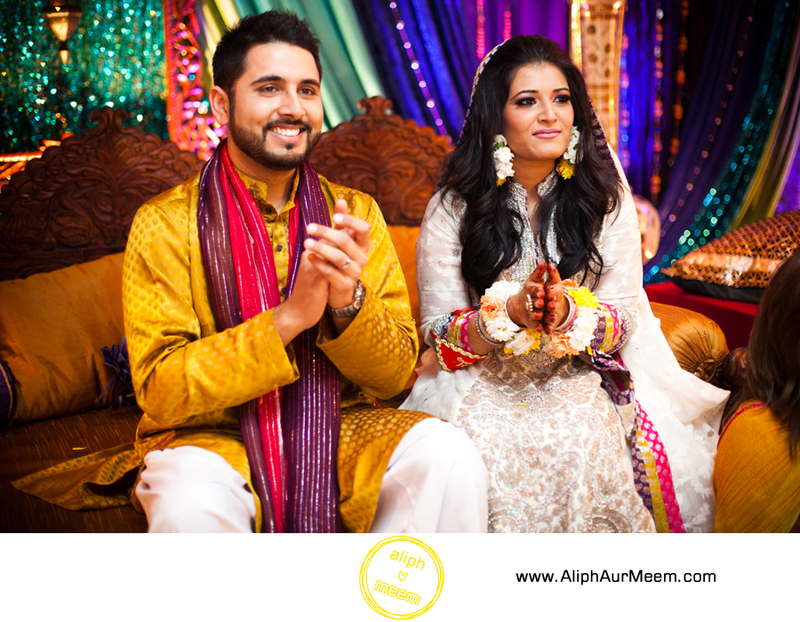 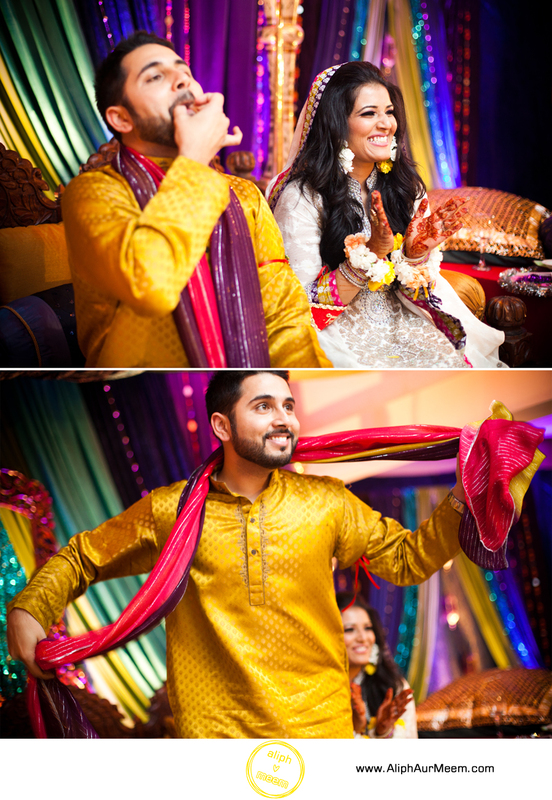 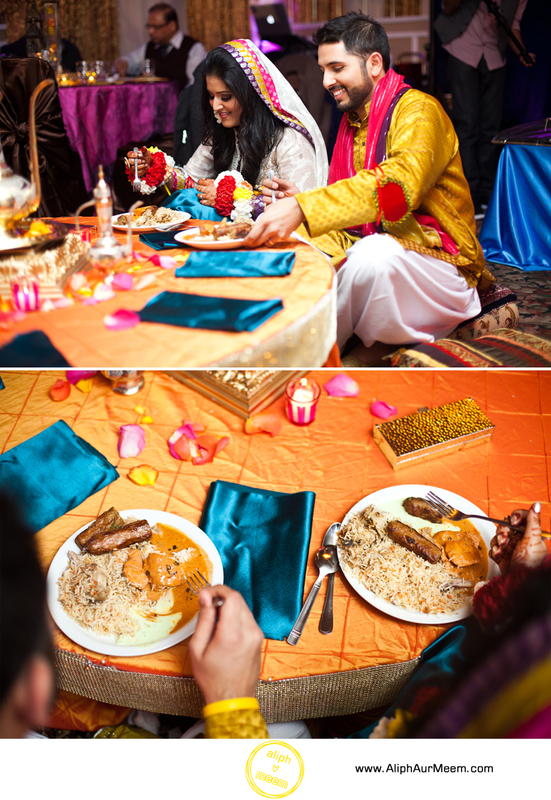 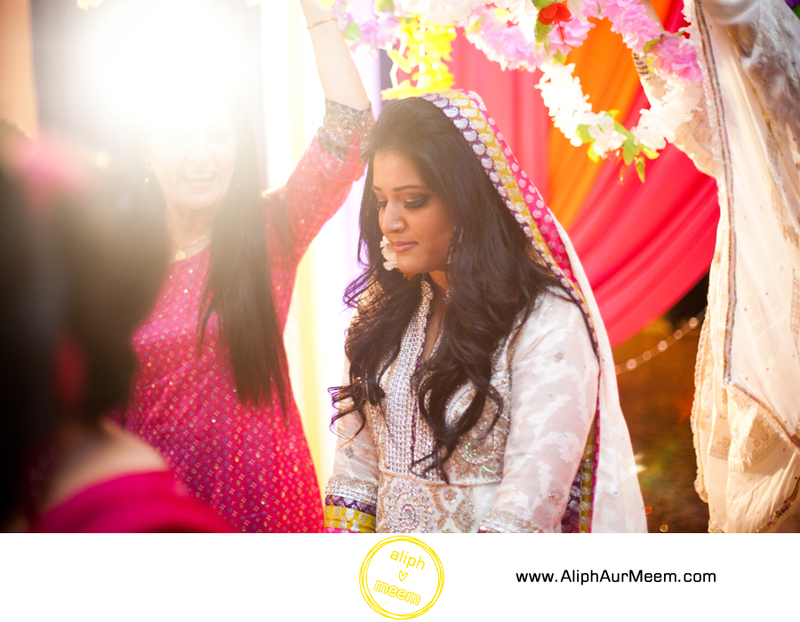 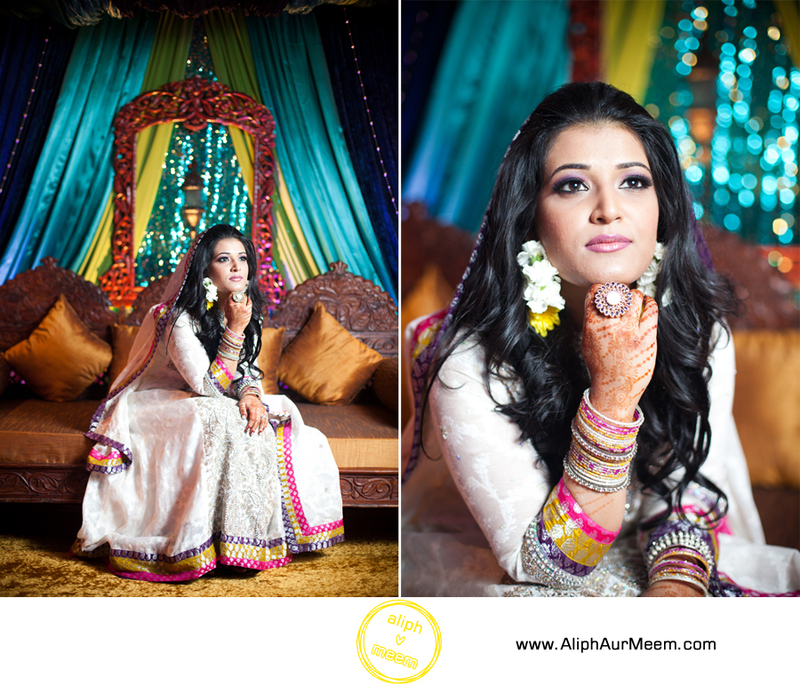 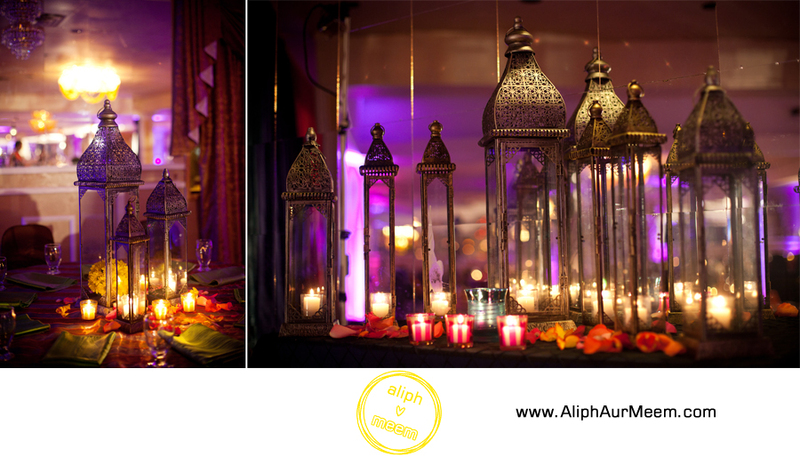 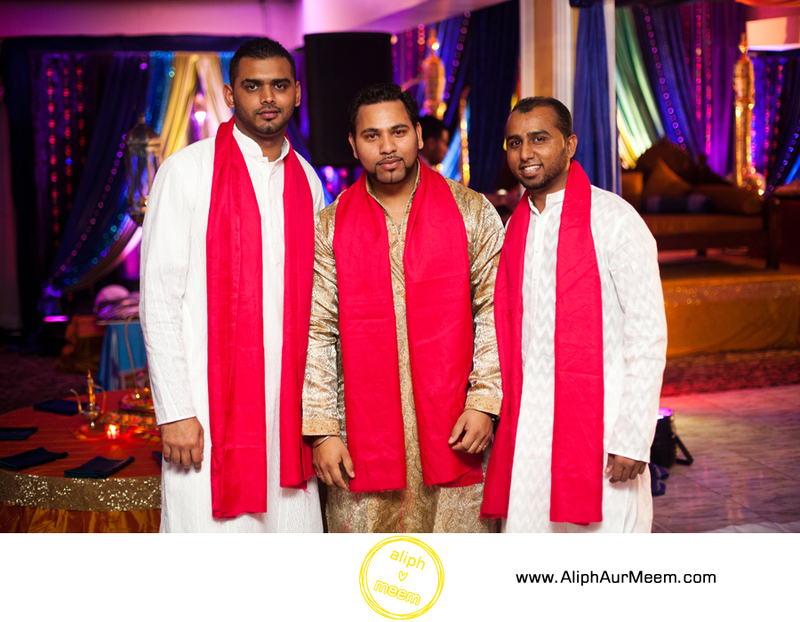 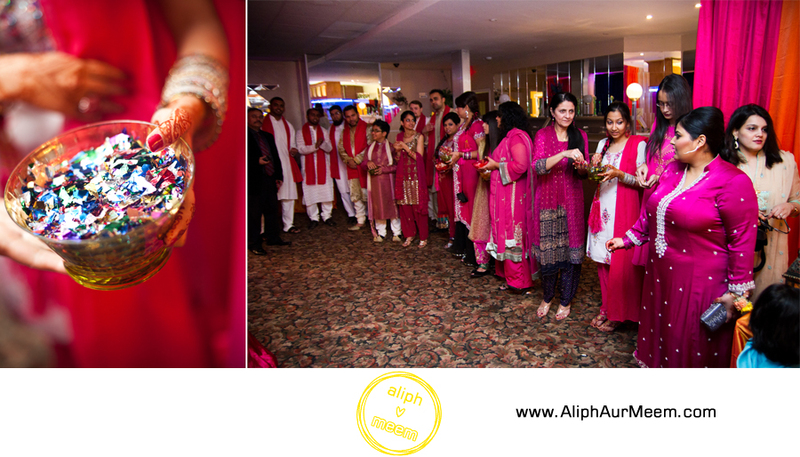 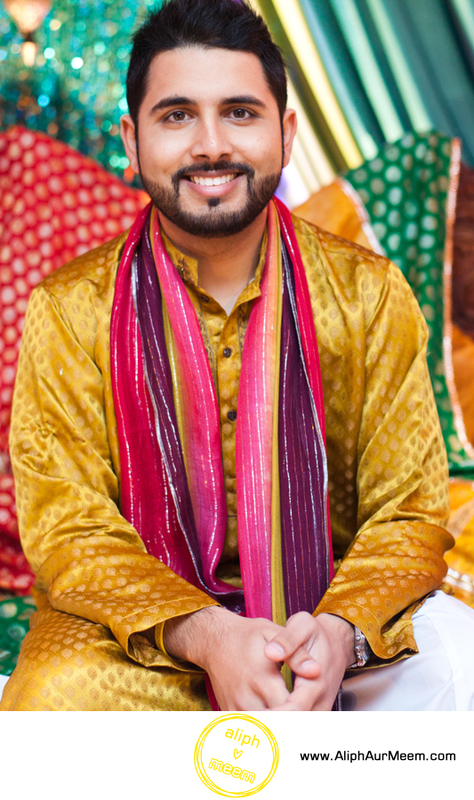 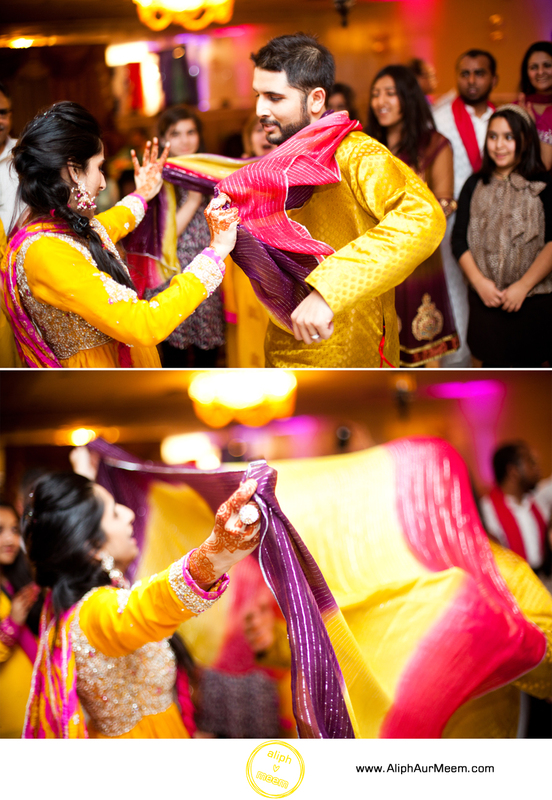 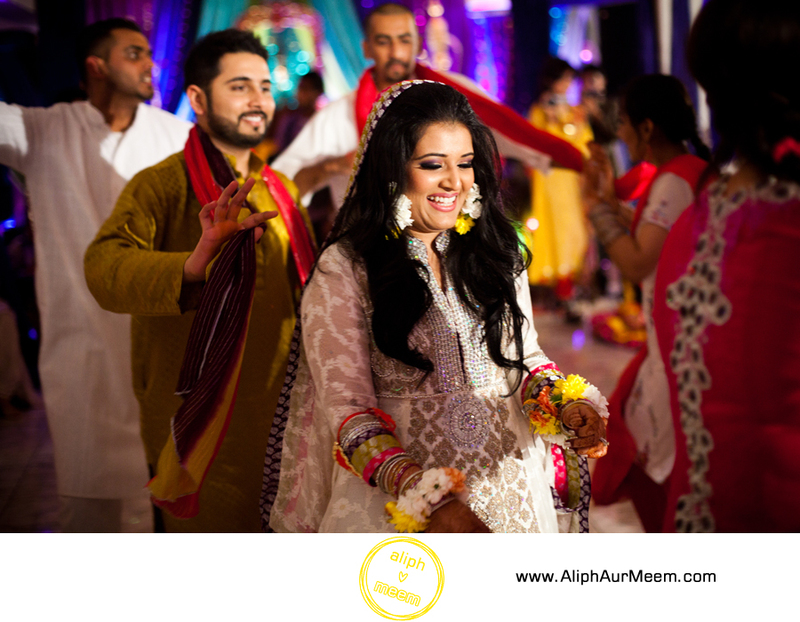 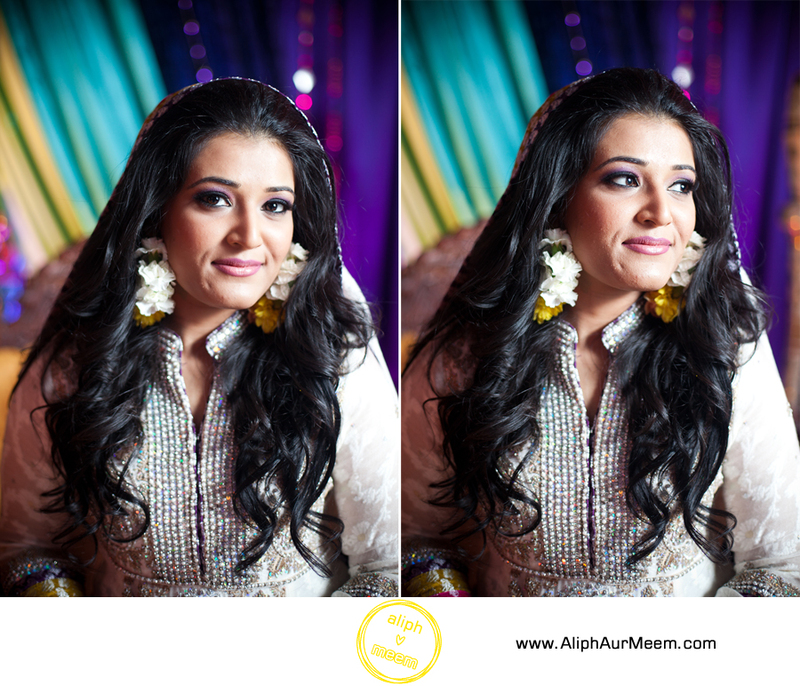 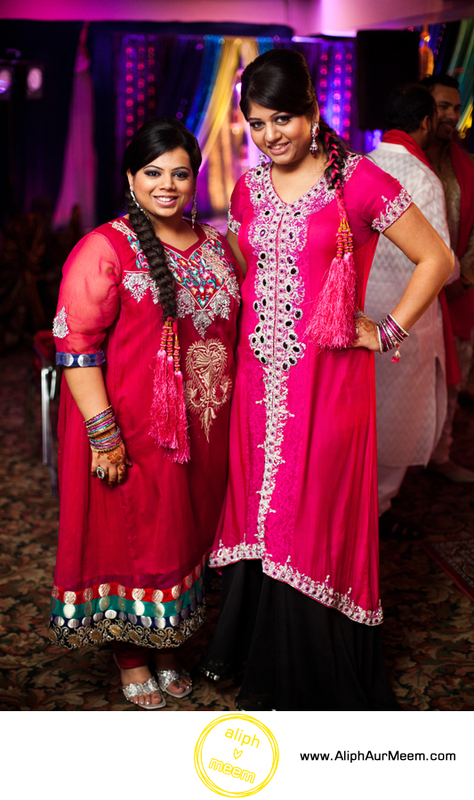 Today we are sharing Uroos and Khalid’s Moroccan Inspired Mehndi that we covered in December of 2011 in Toronto. 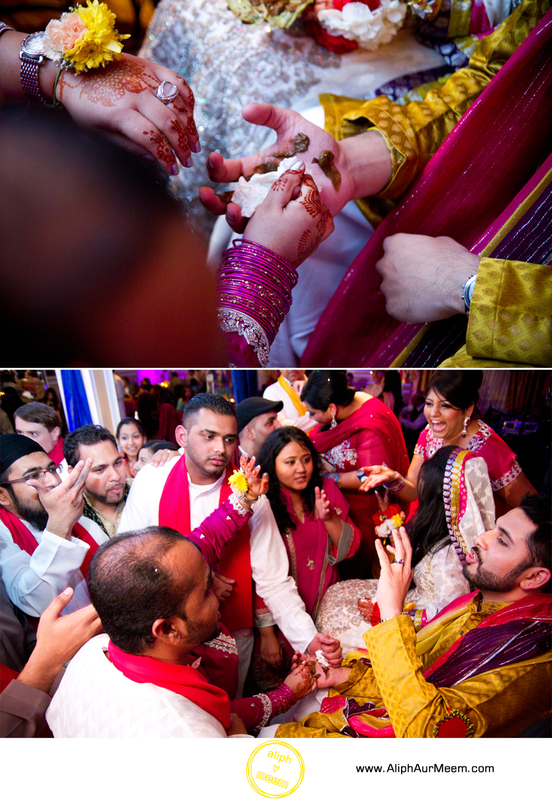 We’ve been looking forward to posting this wedding ever since we shot it. 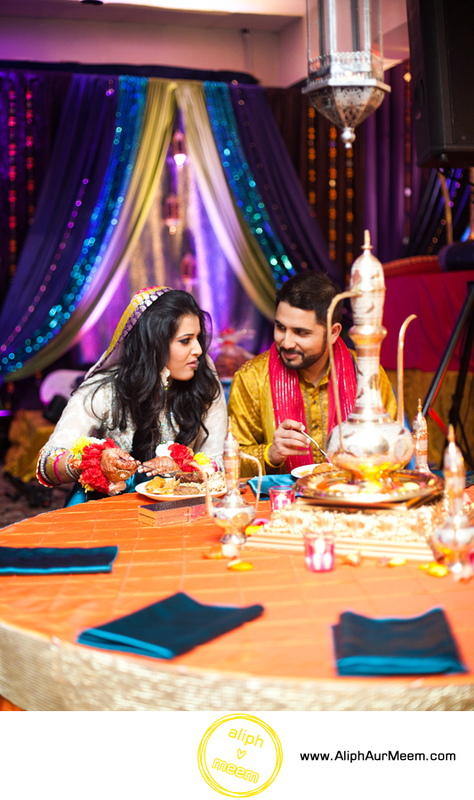 You may recognize Uroos and Khalid from their engagement shoot video we shot last fall. 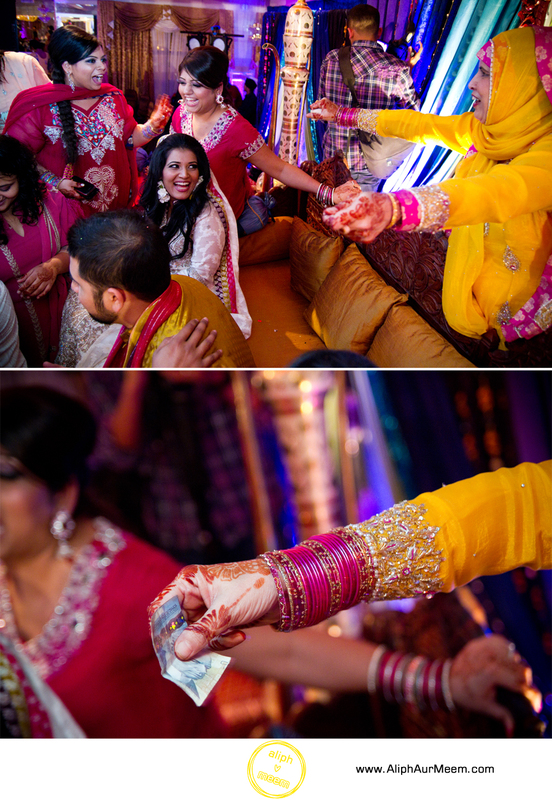 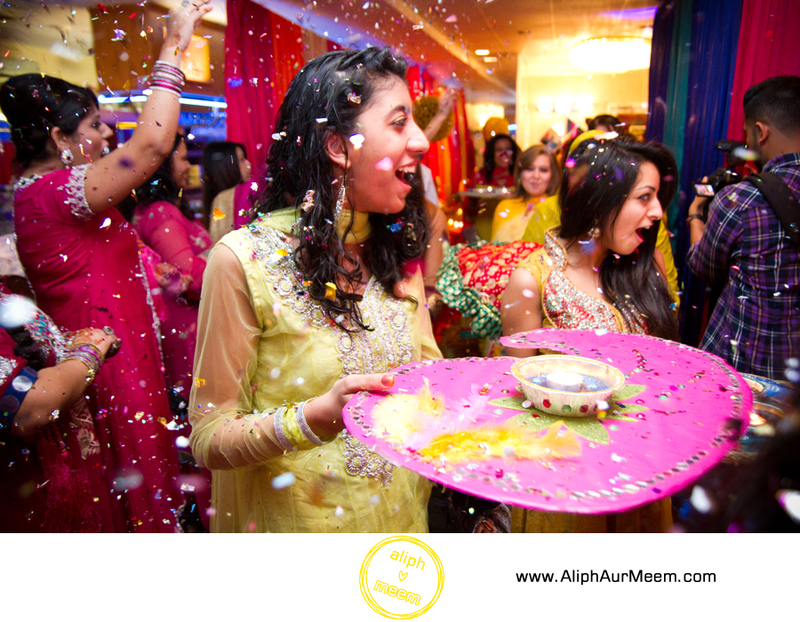 This was followed by a three day wedding extravaganza including this Mehndi, followed by a Shaadi and Valima a week later. 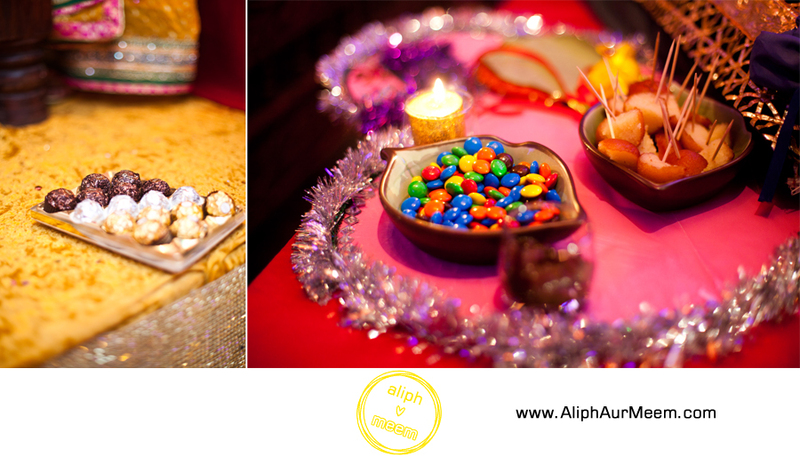 We simply couldn’t combine these into one post. 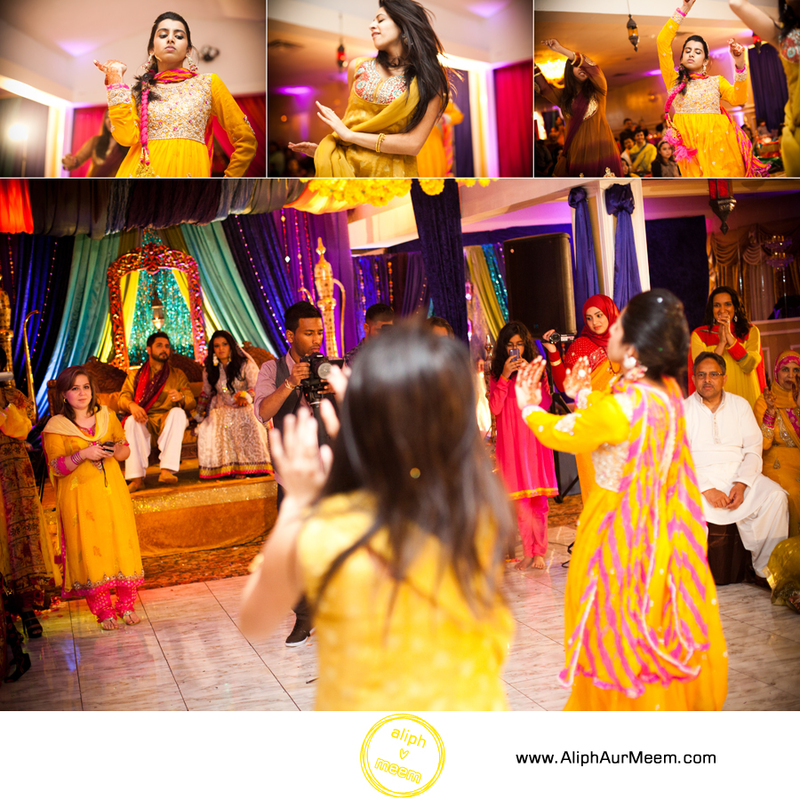 Our typical posts comprise of about 20 shots. 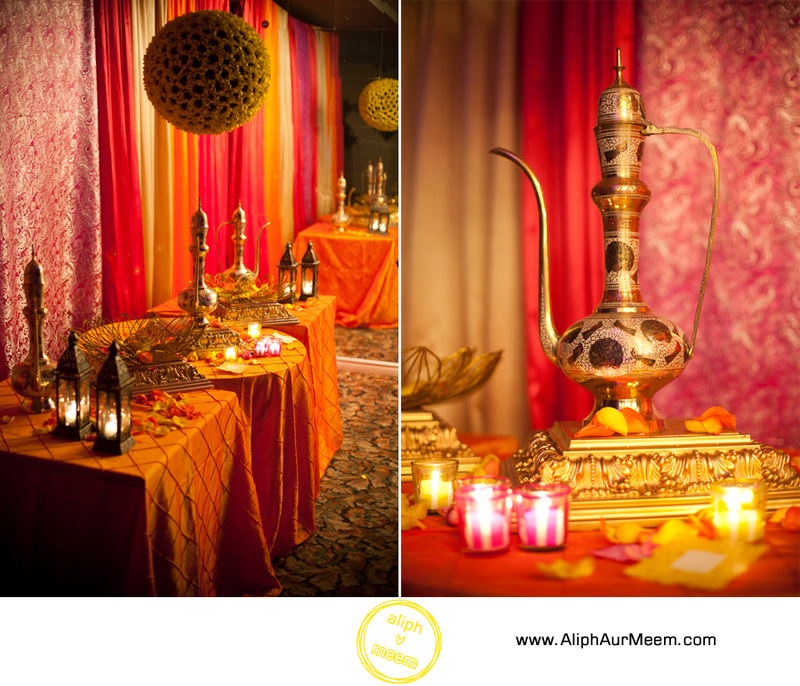 Our post today of this Moroccan themed delicacy is close to 50 pictures alone. 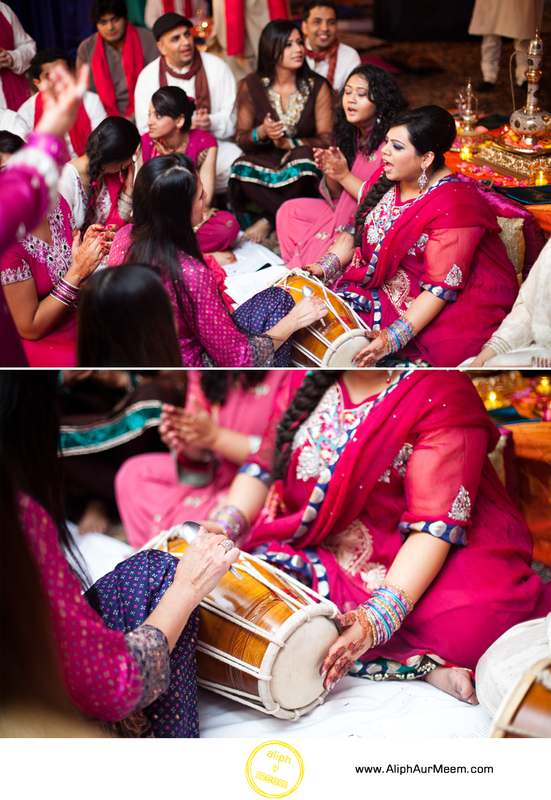 We simply couldn’t resist and shortlisting the photos for our blog was a task on its own. 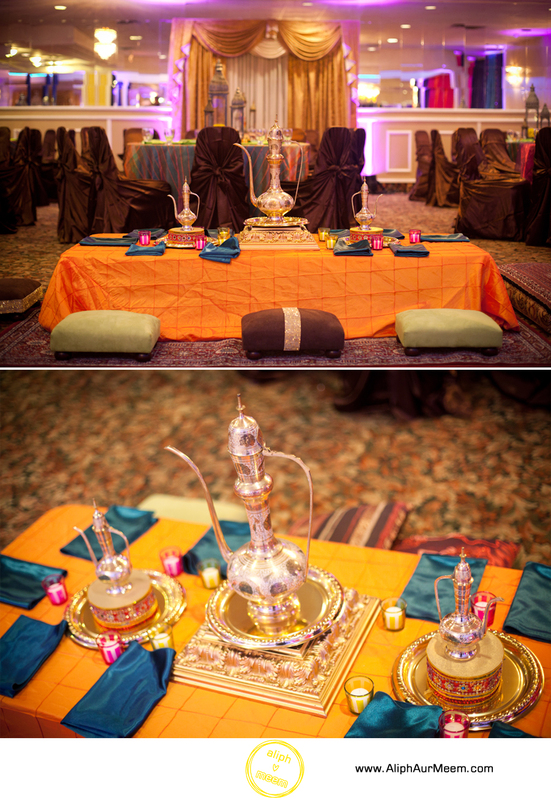 Naphisha from Perfect Setting really outdid herself in creating a spectacular ambience and environment. 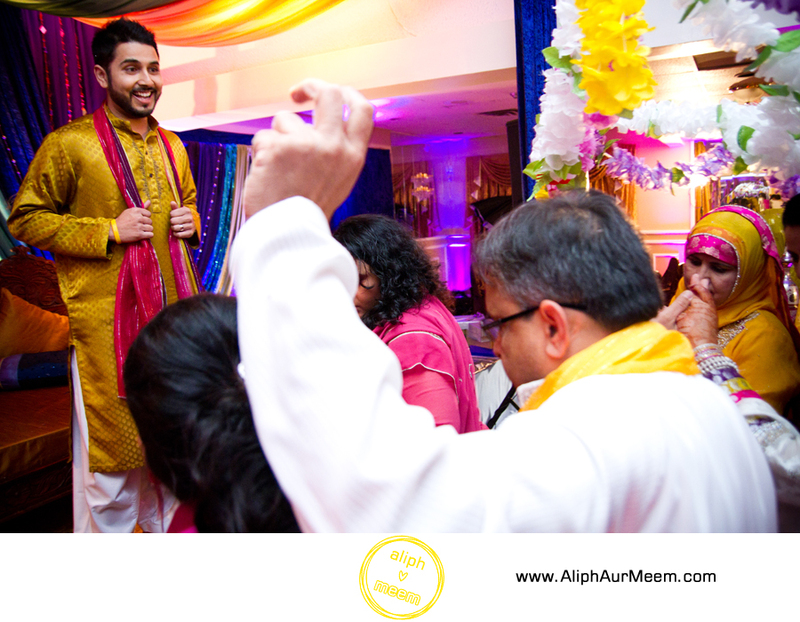 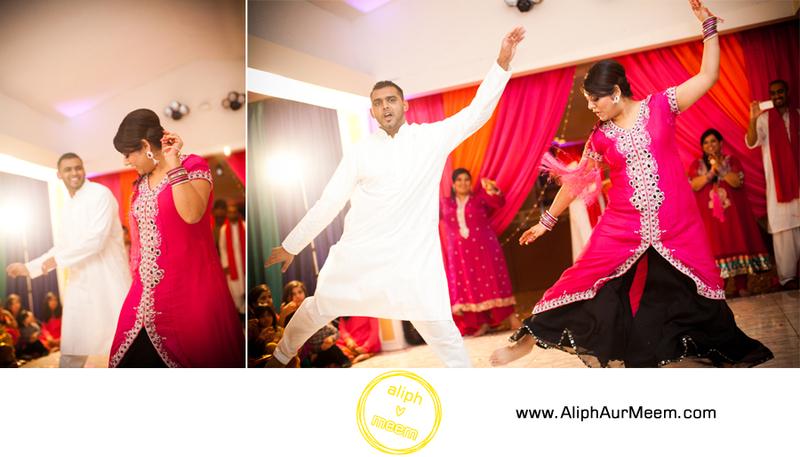 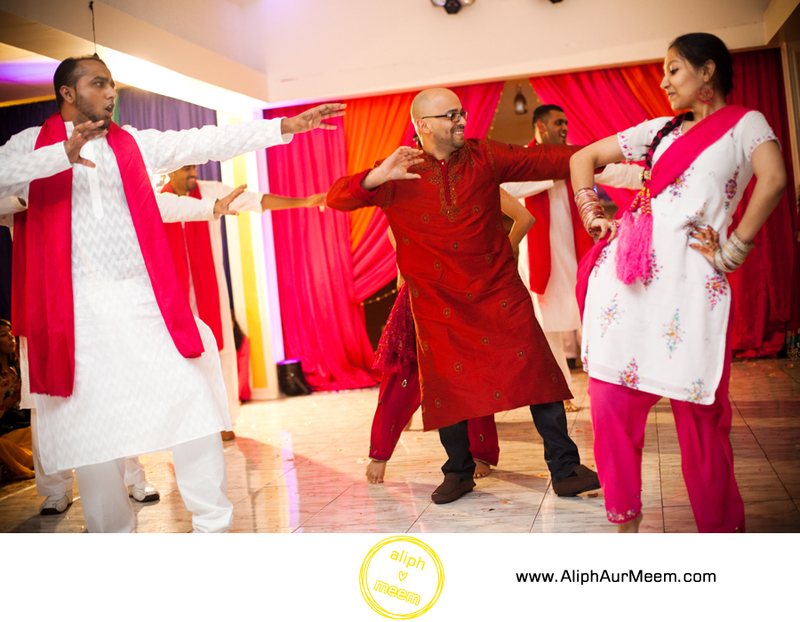 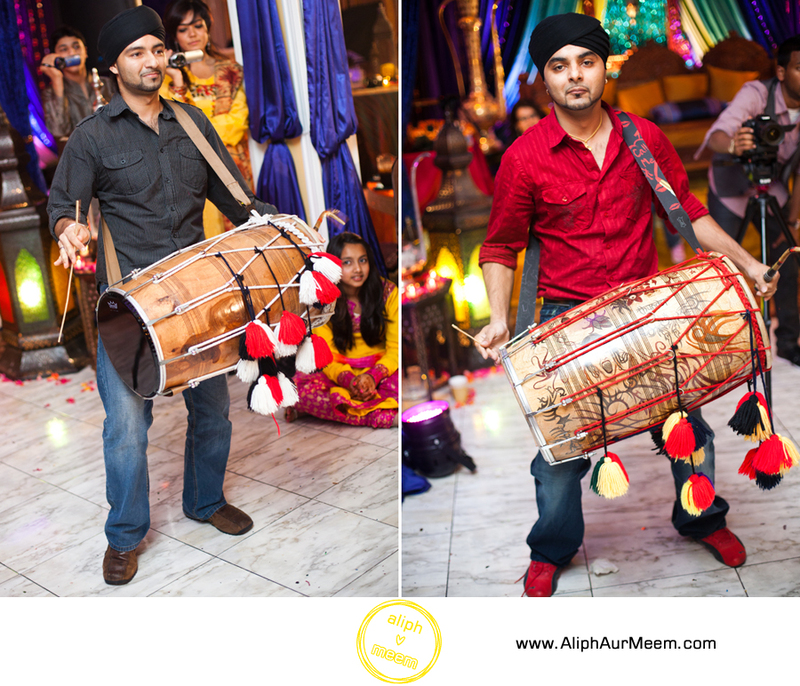 And of course most of the night was spent dancing away to the tunes and live dhol beats courtesy of Dhol Toronto. 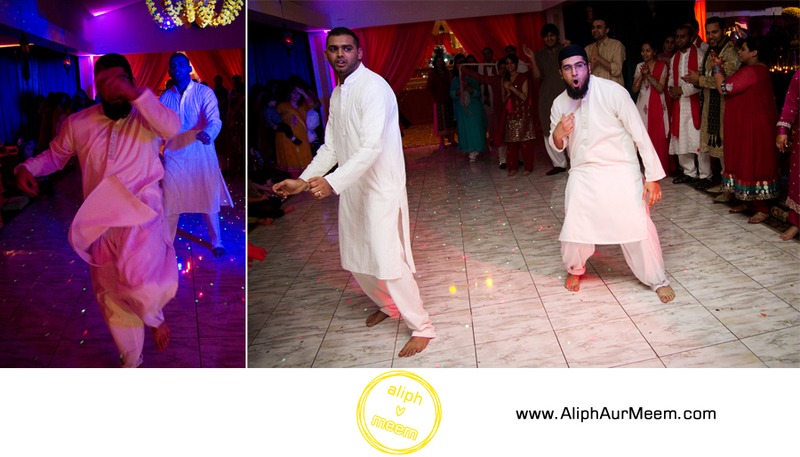 Just as we were wrapping up for the night, Uroos’ brother Osama who we had heard was actively responsible for choreographing a lot of the dance sequences, but was a little hesitant on letting it loose on the dance floor for personal reasons, finally gave in and broke out into an impromptu dance sequence. 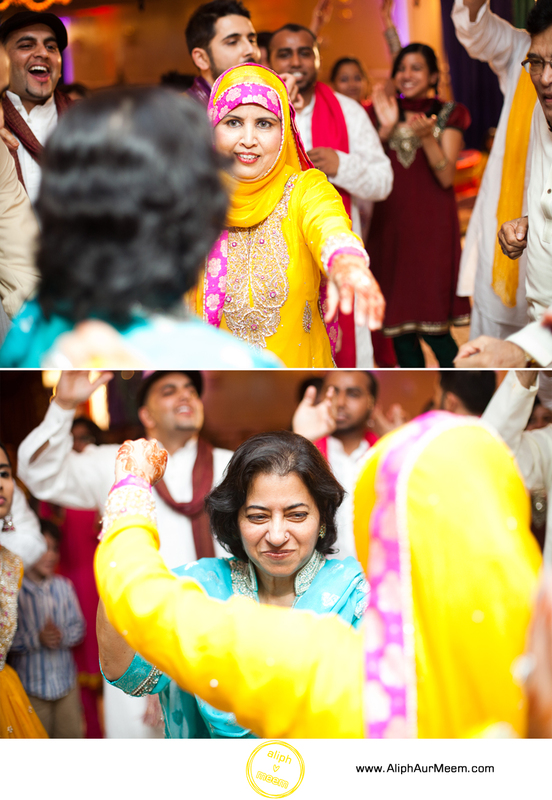 I quickly grabbed the first camera I could get my hands on and got a few shots of Osama showing everyone how its really done before something went wrong at the DJ booth and the song ended preemptively. 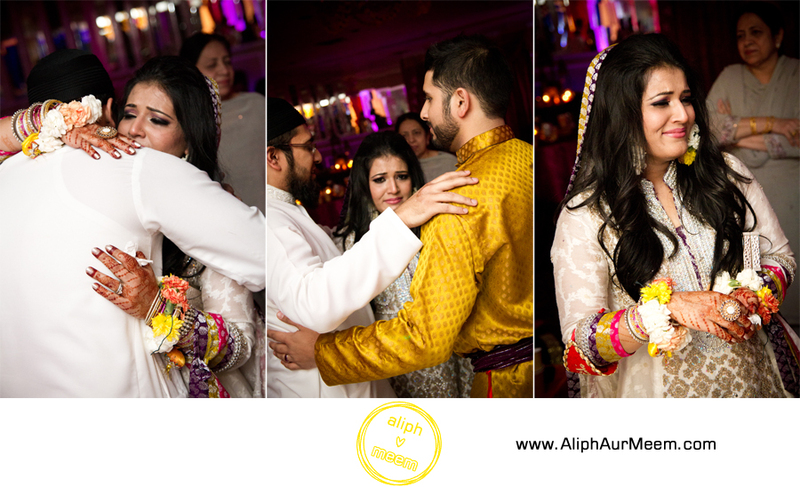 However short it may have been, it was enough to move Uroos to tears and I got some nice emo moments between the brother, the bride and the groom. 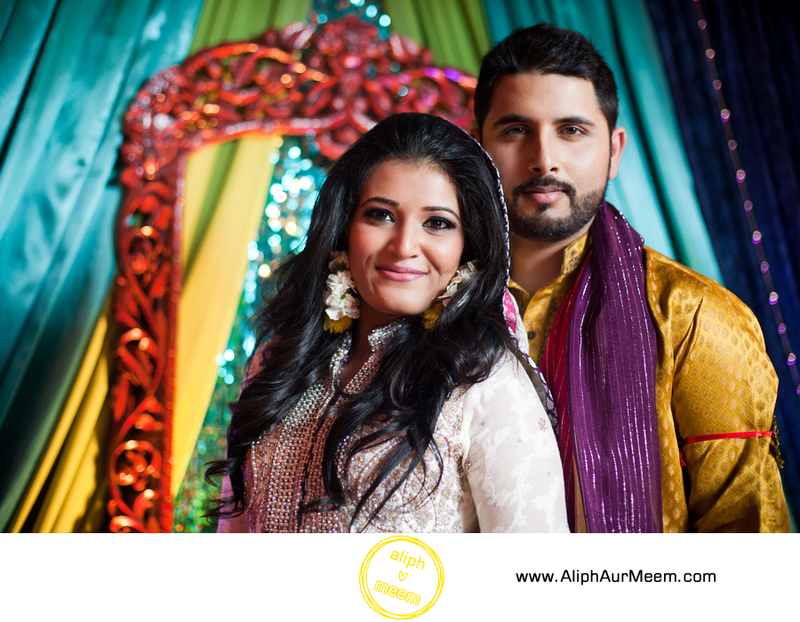 Enjoy and stay tuned for their wedding photos next!